Firstly, I would like to say wow!!! I am honoured that over a hundred of you thought that my blog was worth following, I truly am speechless! (Which doesn’t happen very often….ask ‘the wife’). Secondly, I apologise for the length of time since my last post. Life has been pretty hectic here, I have had loads of birthdays to remember; coupled with a friends wedding this weekend followed by yet more friends birthdays!! So I extend apologies all round for my utter lack of organisation of late. Well folks, I know that this post has been a quickie but I have a few more works in progress to tell you about but I need to spend today taking some pics so I can show you all what I have been up to. Speak to you all soon. 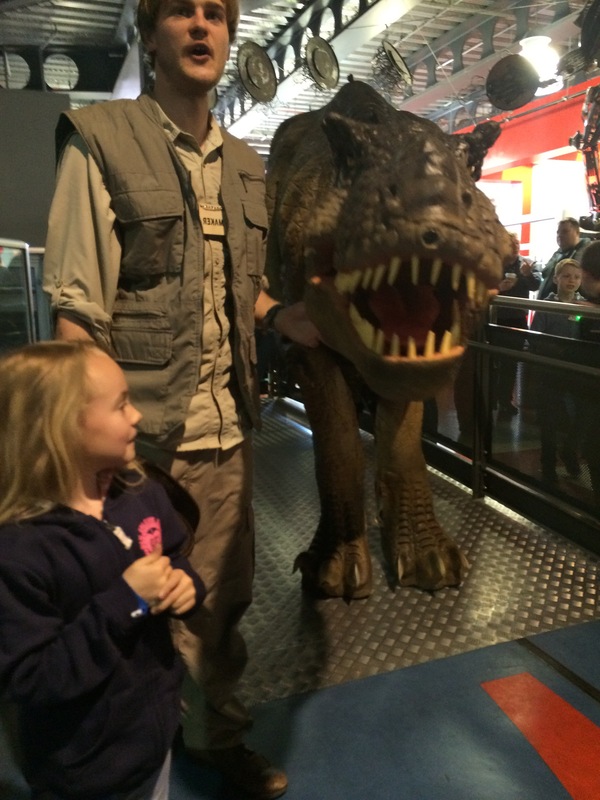 One of my first posts was about how my daughter had started her own blog and had joined the blogosphere. Well, not only does Lani have a blog of her own but the lovely Joanne at Kids Blog Club named her blog Kids Blog Star of the Week!!!! Kids Blog Club is a blog/website dedicated entirely to kids who would like to blog and their parents, who would like some advice as to how their children can blog safely. Not only does the website provide inspiration for kids written by kids but it also has ‘How-to-Guides’ for adults to protect their children whilst allowing them a little creative freedom. If anyone reading has children who are would-be-bloggers or their child already has a blog and would like to connect with other kids who blog, check out Kids Blog Club it’s fab! Huge thanks to Joanne for putting a huge smile on my little girls face!!! 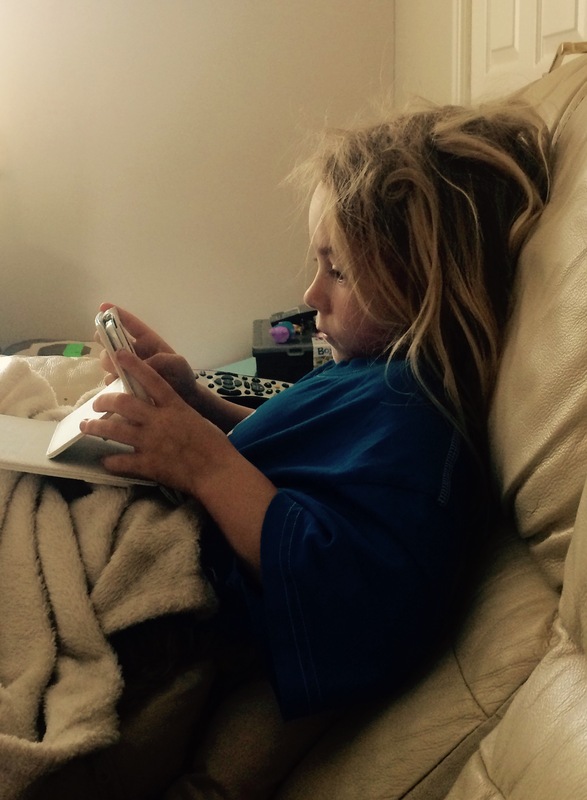 Lani is now more determined than ever, here she is, morning hair and all writing her next blog post…..
Hey guys, it’s my 30th birthday today!!!! I have been spoilt rotten by ‘the wife’ aka my amazing hubby Micky and my beautiful daughter Nalani. My mum has surprised me with a delicious meal surrounded by my family. I just wanted to tell you how amazingly humbled by my fabulous family I am. It’s been a fantastic day/night and I look forward to the drunken reveleries with my friends on Saturday. 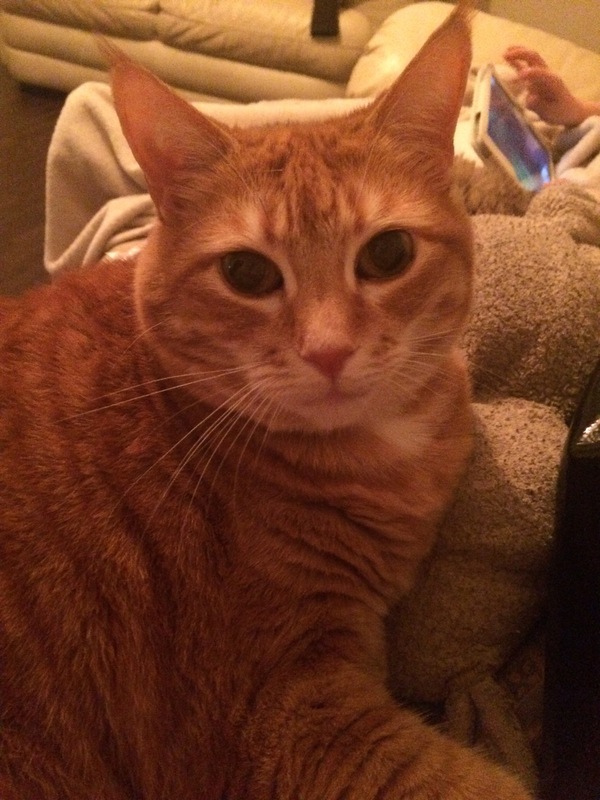 Enjoy the rest of the evening people; I intend to by getting lovely snuggles off my cat……here’s my little (she’s huge really) Gingey cat aka Tiga…. Hey everyone sorry that it has been a while I really must organise myself better. This is a brief post as I would like to share with you all a fab way to get gorgeous summer skin using Dead Sea Salt and Extra Virgin Olive Oil! Yep…that’s rights olive oil…my best friend recently enlightened me on this quick but fabulous way to soften your skin and exfoliate all at the same time. I have previously mentioned that I have psoriasis, whilst shopping in TK Maxx (for anyone not in the UK, TK Maxx is a store where you can buy branded goods at a discount price), I spotted a bag of Dead Sea Salt for adding to your bath. It stated on the bag that it was good for excema and psoriasis so I thought I would give it a try. While talking to my best friend at the weekend she told me about a scrub she had made for herself using Epsom salts and extra virgin olive oil so I adapted her recipe to include the Dead Sea salt instead of Epsom salts so here goes. That’s its mix it up and you have a lovely exfoliater which leaves your skin feeling super soft and not at all greasy, which I was very surprised about. Let me know if you try out and what you think if you do. It has dawned on me that I have talked a lot about crochet and lovely yarns but haven’t actually posted about anything I’m making! I could be faking (I’m not…but you never know), so I decided after reading the lovely comments on my last post Is It Possible To Have Too Much Inspiration?!?! ?, that I should focus and try to get some of my WIP’s finished. 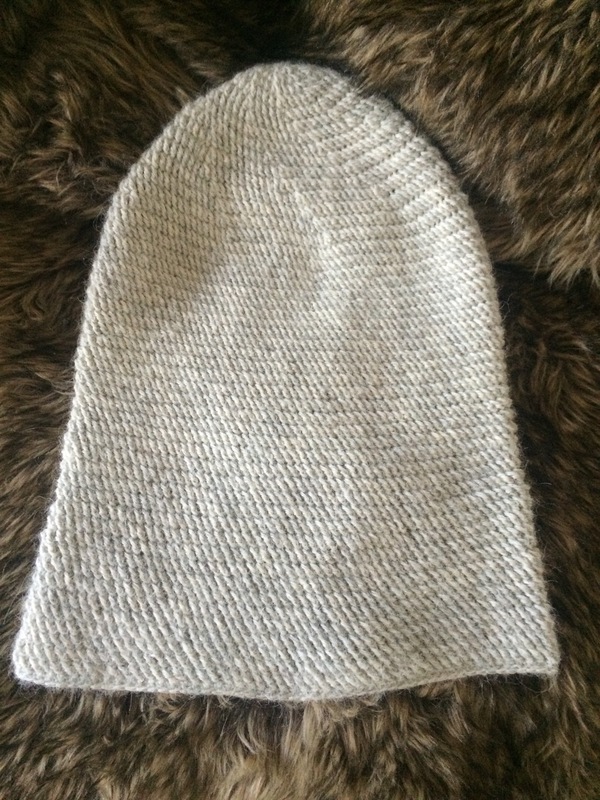 A while back now the wife (my hubby) asked me to make him a slouchy beanie as he had left his in a hotel whilst away for work. Cue the purchasing of the delectable Drops Alpaca which I blogged about in March I believe. 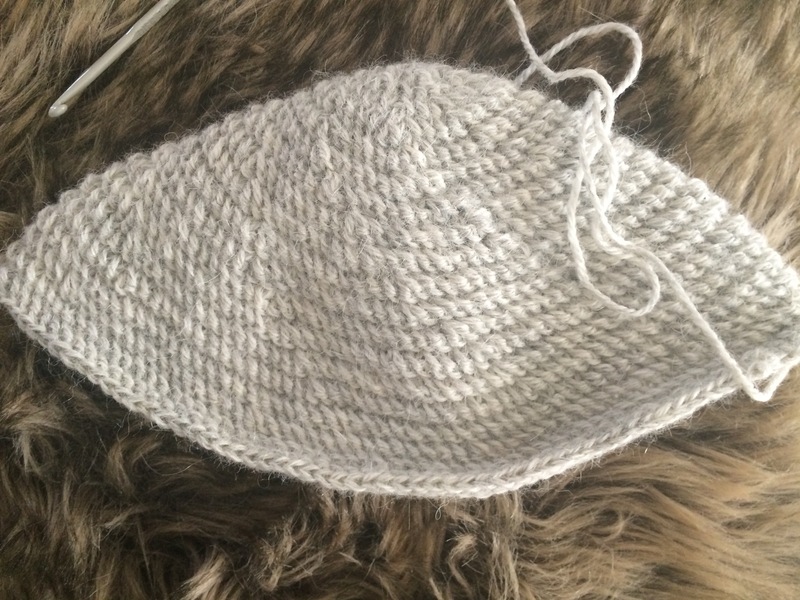 I troweled the internet searching for a suitable pattern (I am relatively new to crochet and even newer to pattern design but I am getting there). The wife had very specific instructions regarding the asthetics of said beanie hat and wanted something simple yet stylish which he could wear with casual clothes and tart up abit and wear with a suit jacket or his all saints pea jacket (god I hope that’s the right style jacket or the wife shall gather all his fashion knowledge and rain hell down upon me). 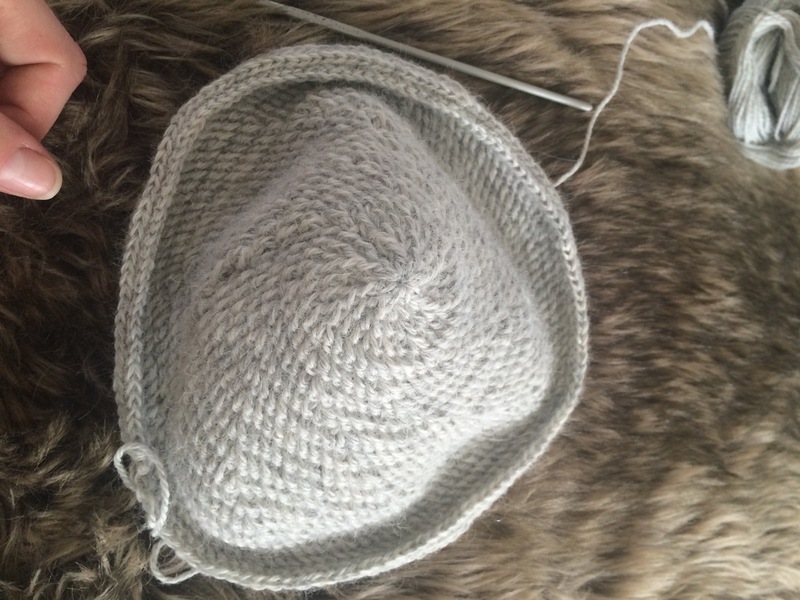 I chose a light grey yarn (you can’t go wrong with grey right…), the yarn is slightly multi-tonal and is rather lovely to stroke. Ok so the yarn chosen, more importantly the wife approved, so much in fact he praised my yarn choosing prowess and labelled me the best in all the land! (Alright he did say I had made a good choice but I did get a little carried away at the end and he most definitely did not say I was the best in all the land, however can we just pretend for today). I showed him pattern upon pattern and none met his fashionista requirements. However, he did share with me a little nugget I could work with. His exact words were (you ready for this), “I like that fancy stitch thing you did when you did that hat for Jean (my best friend) at Christmas”. Ha ha, result I thought albeit fleetingly as I then realised that Jean’s hat was made using double crochet (US term not UK) and the basket weave stitch, with a dash of single crochet for good measure. 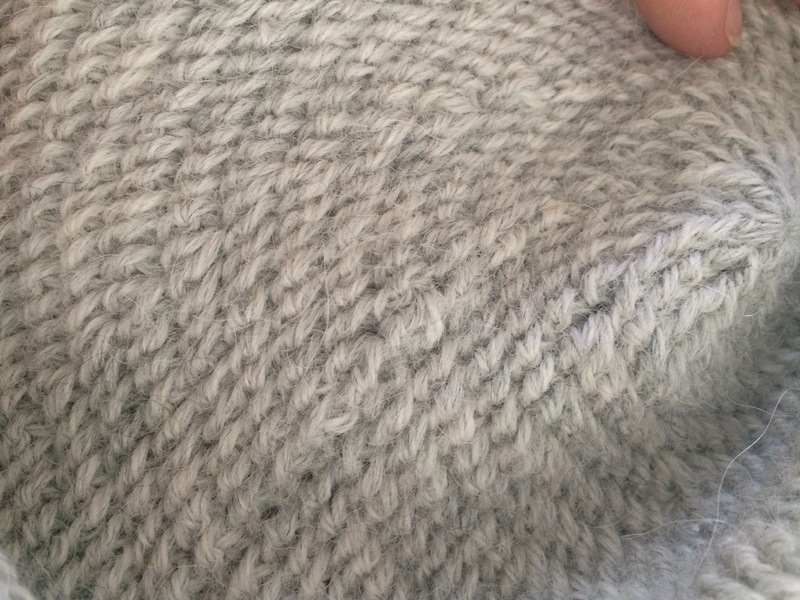 Anyway after eventually showing him all of the above stitches I finally narrowed it to front post double crochet, which in case you missed it was just a very tiny piece that made up the basket weave stitch. Phew, this is how I am getting on so far and will keep you posted on how it goes as I am kinda making this one up as I go to suit my lovely wife’s requirements. Is It Possible To Have Too Much Inspiration?!?!? Hey Lovelies…. (Check out my interrobang…the ?!?!? In the title..that’s a new word I learnt that sounds as if it’s made up but I like it and had to find a way to get it into this post….mission 1= success). Anyway back to business. I believe that I am suffering from inspiration overdose!!!! What is that? I hear you say (well kind of….you sound very far and almost like your in a tin or something…but I definitely hear you). My hubby (more affectionately referred too as ‘the wife’) says it means and I quote “easily distracted by shiny things”, I suppose to a lesser extent this is true I do like said shiny things however I think ‘the wife’ is applying a generalised term (albeit a shiny one) to my ability to jump from idea to idea or project to project. Now I have read books (yes, you heard me correctly tiny disembodied voice) I have read many books which tell you ways to deal with a lack of inspiration. However they do not address how you would combat a constant influx of inspiration which causes one to lose focus at an alarming rate. 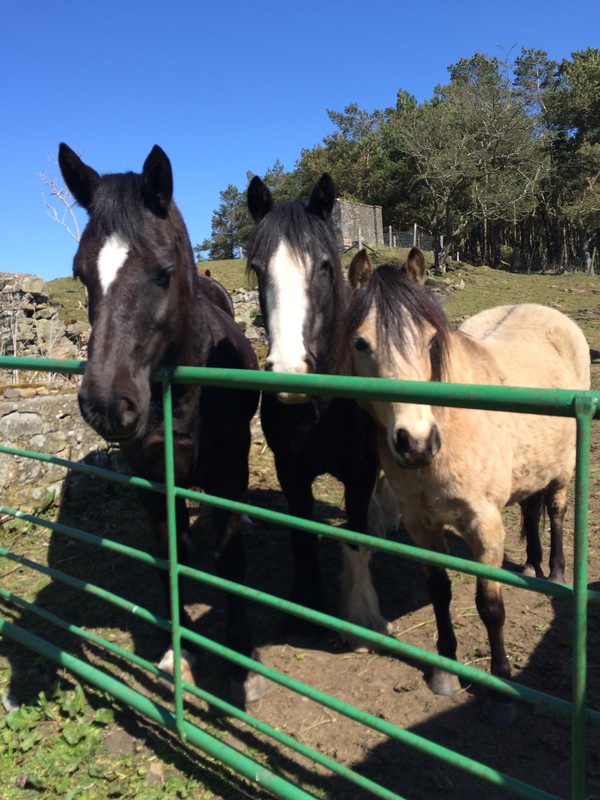 You see I find inspiration everywhere, mostly it comes whilst spending time with my ponies. (Damn you ponies) I love nothing more than to potter about in the field with them as well as working with them but believe it or not a lot of my many crochet WIP’s began life in that very field with those very horses. I find it hard sometimes to focus on one project to the end sometimes and new lovely yarns or a picture I have spied on the creative’s heaven aka Pinterest also call devilishly to my lack of self control and ‘force’ (ok they don’t force me really, I’m just weak) me to deviate from my path to start a ‘shiny’ new path doing something else. It’s probably best to mention that not only do I crochet and ride the horses so beautifully posing above; I also love photography especially film photography, drawing and anything which requires a certain level of creativity, oooh and I love archaeology, classics and literature especially reading (now do you see how I tend to deviate a lot). So I ask all of you lovely like-minded people out there, is it possible to have too much inspiration? Do you have tips on how to focus on the projects I have started? Have you ever had the same issue? I would love to hear what you guys think on this…. 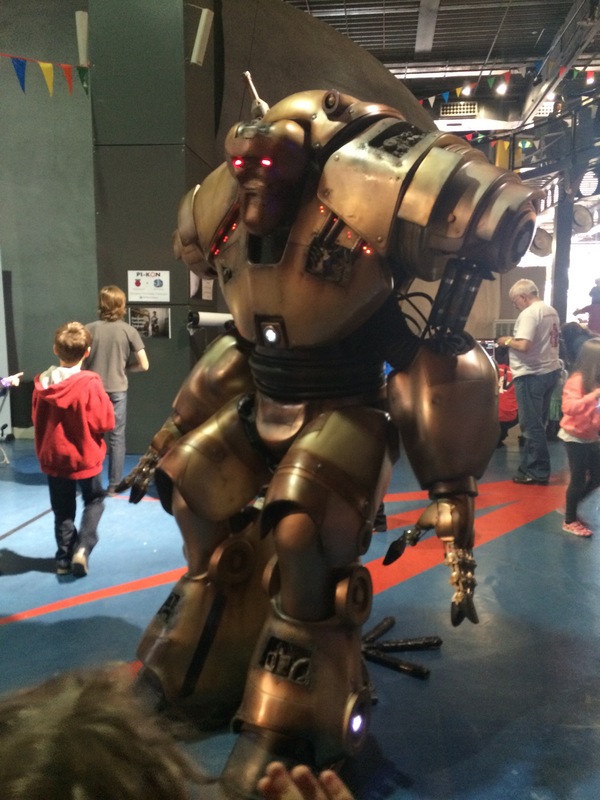 On Sunday the 26th of April, my parents and me went to the Makers Faire at the Centre for Life. When we arrived I realised that there was a lot of people. We walked into the building and I saw a lot of exiting new experiments that we could try. I saw some silly people dressed up as Star Wars characters , I saw someone dressed up as a dinosaur with a robotic head. My favourites was the sewing machine and a 3d printer that printed with chocolate! 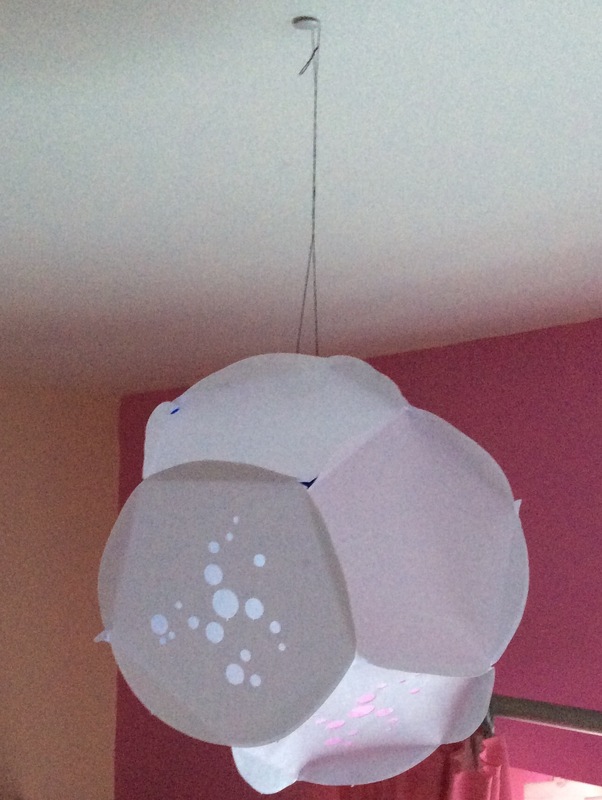 What I loved was a make your own lantern. After we tried out a couple of things we had a little play, I dug in the sand looking for bones, I hung upside down on the climbing frame, me and mammy played what similarities do these animals have? 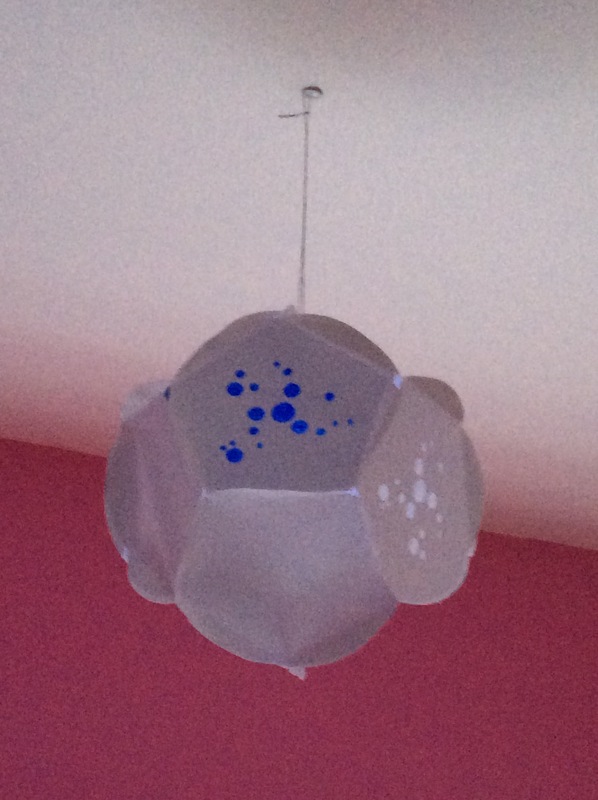 Now my lantern is hanging in my room . Hello to all you marvellous creative types I hope you have all had a fabulous week! Well, we have had some lovely sunshine in North-East England this week (I must point out that this is a very occurrence round these parts). Often whilst scouring EBay for scrumptious low cost yarns I have encountered a brand of yarn previously unheard of by myself, they are Ice Yarns!! So being curious I decided to enquire about them with my old pal Google at my side. Soon after I began an investigation into said Yarns and became rather excited in doing so. Ice Yarns are from Turkey and not only do they have a vast range of acrylics and cottons, they sell my coveted Alpaca as well as Camel ( yes….camel), silk and wait for it (ensue imaginary drumroll building tension) Cashmere. All for unbelievably low prices. At first my logical brain went all “let’s kill the excitement here…something’s not right” which I did not appreciate, I was having fun after all. Then, Mr Google stepped in and was all proactive shouting “check out some reviews before you judge them”, so I did and it was a big finger in the face to my logical brain….all reviews told of lovely yarns at low prices and you buy in bulk for said low prices, for example, six 50g balls which is 160m per ball of Pure Alpaca for £10.35! After careful deliberation (which took roughly 30 seconds), I decided to take the plunge and ordered myself a couple of bags of yarn to try out. I decided in the end to try out, yes you guessed it, the 100% Pure Alpaca in Gold.. Then I chose Ice Yarns Cashmere Silk Exclusive Yarn in which is sold in packs of six 25g balls containing 250m per ball of 20% Cashmere, 50% Silk and 30% Superfine Merino Camel coloured loveliness all for £10.35. The prices of yarns are so cheap as with them being posted internationally the postage costs are higher. That being said the cost of 12 balls of yarn was £20.70 and when postage was added on the total came to £27.78. Which I was particularly happy with, if I do say so myself, the postage times were reasonable and a couple of weeks later my yarns arrived. I am very very happy with the quality of yarn I received and even happier with the price I paid for buying them in bulk packs mean that you have enough yarn to complete a project all for a marvellously low cost. First of all Happy Belated Easter Wishes to you all. I apologise that I haven’t posted in a while. For those of you in the UK, you will know that in March we have Mothering Sunday otherwise known as Mother’s Day. After much trawling through stores both in person and online I was stumped as to what to get my mum that was a little unique yet meaningful. This is where my typographic adventure began. I decided to do a canvas for my mum with a nice quote on….this is where I encountered more problems I couldn’t find a quote that I liked, so after several hours searching I combined a quote by Abraham Lincoln with a little piece of writing done by an unknown artist named R.M Drake whose little Instagram writings are not only nostalgic in appearance; having been written by an old typewriter on handmade paper but beautiful as well. After finding a font to take inspiration from I began drawing out a grid onto the canvas and measuring the height and width of letters to make it equal (this entailed an awful lot more maths than I usually care to partake in). After doing all my working out I began drawing the letters out. As I was still unaware of the typo at this point I started painting the canvas with White gesso to cover the grid lines after outlining the letters with my trusted sharpie pen…. (however the permanent ink is not so permanent when gesso is applied over the top). My initial plan proved problematic so I figured if I paint the letters then do the gesso we would avoid the dreaded smudge. Now I discovered my ridiculous spelling mistake….in case you didn’t spot it earlier I foolishly wrote ‘beatiful’ instead of ‘beautiful’….queue cursing and a desperate attempt to correct my mistake whilst maintaining the correct size and spacing of letters, I managed in the end…..fortunately. Now to paint the canvas so those pencil lines disappear and paint the letters. I chose Copper metallic acrylic as not only is it very fashionable this season for homeware (check me out with the fashion knowledge…its a fluke I promise you…now the real reason I picked it); its shiny and looks super cool when the sunlight catches it. So without further ado here it is all finished (and shiny) and typo free….I really enjoyed doing this although it wasn’t without its issues but it was cool to give my mum something handmade and unique and she loves it. A few years ago I developed a slight obsession with Alpaca Yarn. I suffer from Psorasis so I struggle to find knitwear that doesn’t make me appear as though I am suffering from mange; here is where alpacas come in. Alpaca yarn aside from being deliciously soft is perfect for those who suffer from wool allergies or skin conditions such as Psorasis due to the absence of Lanolin in their wool. 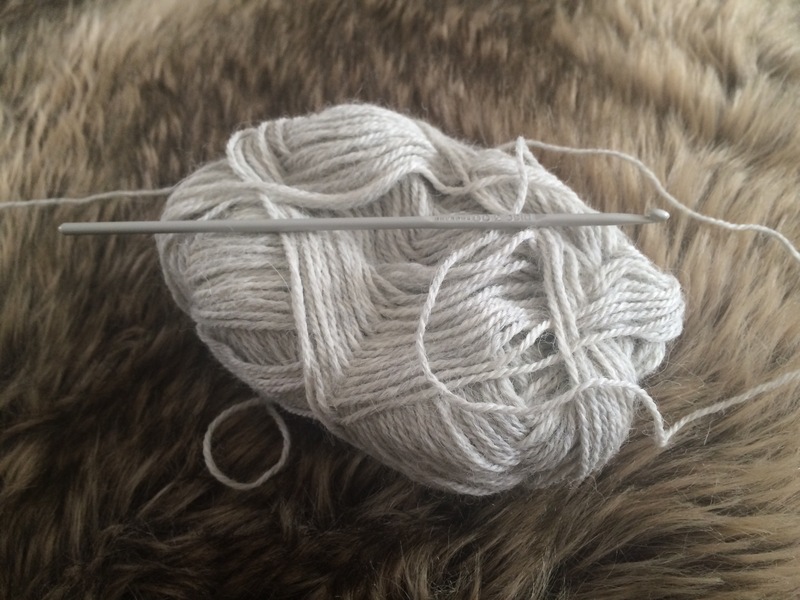 The most delectable form of alpaca yarn is that taken from baby alpaca it is in my opinion on par with cashmere for softness and luxuriousness, as well as being twice as warm as regular wool perfect for the coldest of days. The biggest issue I found was actually finding reasonably priced alpaca yarn. After trying Rowans Lima yarn I was hooked, however Rowan discontinued a lot of the colour range they did and I found your options were very limited. Then I found Drops which are fabulous and they have a great range of alpaca yarns and colours which you can check out here. King Cole also have a great range of alpaca too, along with several other brands on Deramores website. Check them out and give it a try alpaca is a little bit of luxury for crocheters and knitters alike while keeping to a reasonable budget. Enter your email address and you will get a notification when there are spangly new posts for you to read....yeah!! !